Recording Artiste Nature Captivates | Celebrity Plus-Again! Downsound Records recording artiste Nature, performed a full set (over an hour and a half) complete with his band and background vocalists, on Tuesday night at the Blue Essence Lounge. His performance was met with rave reviews, and the capacity audience was captivated. A truly amazing performer he is. 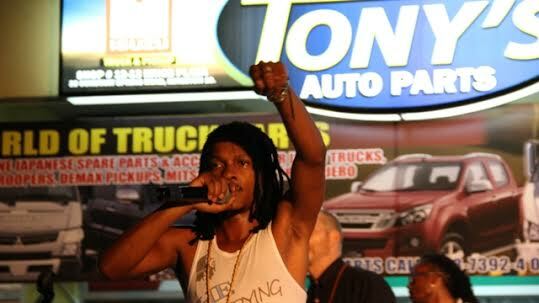 Reggae and dancehall fans will again be treated to another outstanding performance from Nature, on Friday, July 18th, (International Night 1) at the 22nd annual Reggae Sumfest. So come out in your thousands. This entry was posted in Music, News and tagged dancehall, downsound, downsound records, kingston, nature, performance, records, reggae. Bookmark the permalink.